I've been running this loop for almost 20 years, and still think it's one of the finest in New England. The route: It starts and finishes in Underhill State Park at the trailhead map board at the top of the parking area, which approaches the Sunset Ridge Trail via the CCC road that has a short cut route called the Eagle's Cut that most people use rather than walking the road. In one mile, the CCC road bears right ( where you will be running out at the end of the loop) - the Sunset Ridge Trail starts here on the left. Where the trail intersects the Long Trail at the ridgeline, turn left to take the short out and back to the summit. Returning to this point, continue south on the LT. This part is a blast. Cruise as fast as you can across the ridge, ending up on a service road - look for the LT exiting right down a steep cut ( well signed). Stay on the LT to the Maple Ridge Trail, then hop on the CCC road ( go right) for a short uphill grind followed by a great fast finish over mossy roads and finally the CCC road. Today I did the loop (with the summit spur out-and-back) in 1:43:07 , which isn't my fastest time ( around 1:38), but the first time I carried a GPS. It's about 9 miles and 3000' of gain. I was at the summit in 49:07. I'm not sure why the GPS track says 7 miles, it was just a cell phone app. It's a grunt up to the summit, but from there the rest of the run across the ridge line and then down Maple Ridge is just plain fun - lots of open fast terrain and fun little "problems". Kind of similar to the Falling Waters/Bridle Path Loop, but smoother and faster. I've been trying to get my trail running friends from NH to come over and check this loop out, but all I hear are excuses. Maybe if an FKT is involved they will have a change of heart. This is an awesome route. Not sure I can challenge that FKT but I'll be sure to try. Trail running in VT rules in general, glad to see I'm not alone out here! I'm not sure if this is posted anywhere, and if it is I havent been able to find it after hours of searching. But are there any records for the Mount Mansfield FKT? I ran it a couple weeks ago starting at the underhill state park, up eagles cut trail, to sunset ridge up to the peak and back down to the parking lot in 1:33 total with a 55 minute ascent in some of the worst conditions ive ever been in; up in a cloud, windy, and rainy. Would post garmin data but I lost my watch in Vermont. Hoping to get the mansfield fkt trend going. On 2/7/16 I ran Sunset Ridge (from the proper trailhead) to the summit and back in 1:05 w/ a 3min summit break to snap a photo for a couple. Heavy Salomon Snowcross and microspikes through a couple inches of fresh powder below treeline and spotty deep stuff above. I'm pretty sure Eric Blake has the FKT up the toll road - 31 ish minutes. Nasty! Take a look at strava - will give you a loose idea although many FKTs are not on there. I think most of the actual FKTs on mansfield (various routes) will be way sub 50 minutes. It's only 2500 ft of gain or less depending on the trail. What would be the most official starting point for this FKT? Any links? Just gotta have different FKTs for different routes. For there are quite a few fun ones. Just went up hellbrook, over the adams apple trail, and then up the LT to the chin today in 48:07. This can be very easily improved upon I'm sure. My best for Underhill SP parking lot to the Chin is 48:11. That's via eagle's cut and SSR. Start the watch at the kiosk/ map at the end of the main parking lot. SSR to chin, Lt to forehead, maple ridge, and CCC back is also a good loop, I think my best was about 2hrs. Here's another fun route that doesn't see much activity: Up Sunset Ridge to the LT, tag the summit, then back down the ridgeline (LT) to the Maple Ridge Trail, down to the CCC road and back to the TH. Awesome loop for sure... Chin to Nose segment is awesome, exposed & technical, but fast due to the slight average downhill. Maple ridge feels so exposed and gives great views of the mountain. Nice fast cruise down CCC road is a fun finish! That's a killer time, Tim. I think my best is around 2:10. I've found wetness on Maple Ridge will really slow me down. Best when dry! Went up the Sunset ridge to the chin from the Underhill State Park. From the Trailhead start I did it in: 35:55. The Ascent from the first kiosk of the parking lot I did in: 44:25. Definitely can be improved upon! Conditions were still fairly snowy and wet, so traction was pretty rough even with trail shoes. 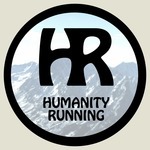 There doesn't seem to be anything definitive about what the FKT is. Tried to find it on strava as well as other links here, but there doesn't seem to be much written about the Mansfield FKT. So I think this is it? At least for Sunset ridge. Would love to see some serious goes at it! Posting this here for lack of a better place and don't want to clog up the Full LT FKT posting. July 3rd 2017 I ran unsupported from the tunnel at the intersection of Rt2 and Bolton Notch Rd North on the Long Trail to the LT parking area on Rt 108 in Smugglers Notch. Total time of 9:53:50. Approx 22.6 miles. No Garmin or Strava track available so I am not making any sort of claim on FKT for this section. Probably some of the full LT guys have done it faster. But maybe someone is willing to post an official claim. Give me something to shoot for. I had never been on most of this section of trail before, so was all new to me. ( I have messed around on some of the trails around the chin and have done the LT from the chin to 108) All the rest was new territory. After the June VT had let's just say that my feet were never dry. Hope this provides some reference! Happy running! Thanks for the response. I was considering doing Camels Hump to MM but I decided to be a little more conservative since I had never done most of the trail. Summit to Summit sounds like a good challenge. With the added benefit of stopping your watch at the top. Let's just say that the couple of miles from the Chin to Smugglers Notch after 20 miles was not the speediest descent I've ever done.